Welcome to Abacus Bathrooms Bristol! We are your local bathroom design and disabled bathroom fitting experts. Our company has been running since 1995, and we, therefore, have all the necessary expertise and knowledge to provide our customers with the best quality services. Moreover, we also take pride in offering all our quality services at reasonable and competitive prices. Abacus Bathrooms Bristol can offer any bathroom design service from a full installation to lowered sinks and other disability access features. 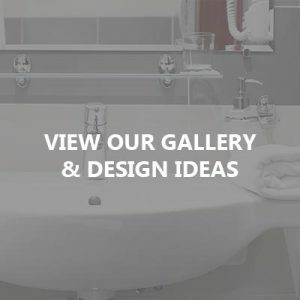 Over the years we have created an extensive portfolio of our best bathroom designs and fittings. Customers wishing to use our services can request to see this portfolio to view the quality work our team are capable of. Furthermore, our customers can gain peace of mind knowing that all our services are insured and guaranteed and we do not ask for payment until the job is complete. So, if you’re looking for an affordable fast response bathroom design service, give our experts a call today and see how we can help you! Abacus Bathrooms Bristol offers bathroom design, fitting and installation services. 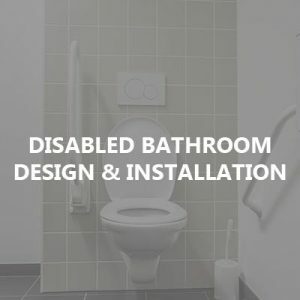 We also specialise in the installation and design of disabled bathrooms. Our disabled bathroom features can include; walk-in showers, grab rails and wet rooms. No matter what your requirements, our experts are certain we can help. Visit Abacus Bathrooms Bristol today to kick-start your bathroom design and installation process. 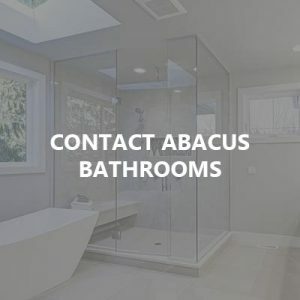 Over the years, our team here at Abacus Bathrooms Bristol have gained an excellent reputation as a trustworthy and reliable bathroom installation company. 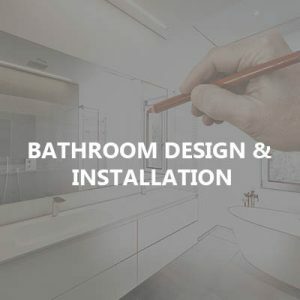 Not only do we offer friendly and efficient services, but all our bathroom fitting and installations come with reasonable and affordable price tags. Need more information on our services? Check out our 5-star customer testimonials below. "Attention to detail is amazing" "WOW! I just can't stop looking at the wonderful job Paul & Gary have done on the complete overhaul of my bathroom. Completely professional from start to finish and an absolute joy to have in my home. I would recommend these guys to anyone, clean, tidy and above all the attention to detail is amazing. Thanks, guys, you have made my least favourite room the best in the house." 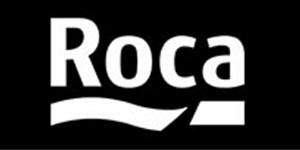 "Fantastic Finish" "We have recently had our bathroom refurbished by Abacus, this is a faultless organisation which have completed our bathroom within the time promised and to a fantastic finish, we found they were a joy to have in our home and were so tidy. I would recommend this company to anyone." "Really Well Finished" Hi, Paul just wanted to say a massive thank you for the work you & Gary did on the bathroom, we are both chuffed to bits with it. Really well finished. We will definitely be recommending you! Thank you for being so clean and tidy too. Many thanks again. "Stress-Free" "Hello, Paul. I really had to drop you an email to say how pleased we all were with the bathroom. Thank you so much for making the whole process stress free for Mum and Dad, I know they are absolutely delighted and pleased. If you need anyone to give you a glowing report to any future customers please do not hesitate to ask. Thanks again, Paul. It's good to have people who you can rely on." 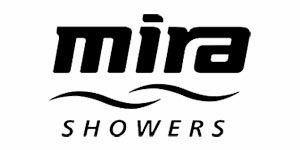 "Very High Standard" "We are very pleased with the work which you have completed on our bathroom and shower room. Your team of specialist fitters carried out this work in a seamless operation to a very high standard and the result is amazing. Chris Ogden came in early this morning and fitted the vinyl flooring which matches the tiles perfectly. The flipper screen in the shower room appears to be very smooth and we really appreciate the extra time you spent yesterday in replacing the original faulty screen. We look forward to having the kitchen floor tiled once Gary returns from his well-deserved holiday. Many thanks." "First class job" "Hi Paul, my wife & I would like to thank you for a first class refurbishment of our new bathroom. All the different tradesmen carried out a first class job; we were always left with a toilet on the evening without fail. There was no mess and all carpets were totally covered, you carried out your job with a smile and no problem was too big or small. The refurbishment was started on time and completed on time and within our budget. Many thanks." "Excellent service all round" "First class job for my en-suite, a very high standard, excellent service all round, no hesitation in recommending." 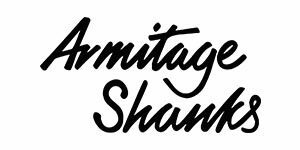 "Fantastic" "Thanks again for creating a fantastic en-suite bathroom which others said wasn't possible, your service was totally professional, reliability and completion was faultless. Thanks again"
"Can't express enough how pleased we are with the bathroom, not only did you do a fantastic job, you were great guys to deal with, I spent ages painting but I wanted to do your work justice, and I think I did, really hope you can do our utility room. It's rare to find such professionals." "Better than the first" "Hi Paul, second bathroom done by you. Even better than the first 'great tradesmen', Cheers." "Just had a bathroom makeover by Abacus, they did a fantastic job and completed all the work quoted with a bit extra thrown in, all work was completed on time, our carpets have never been so well vacuumed when they completed, would thoroughly recommend them." "Ahead of my wife's return from a long stay in hospital, Abacus completely remodelled an outdated bathroom to meet her needs, replacing the bath with a walk-in shower unit, fitting a new wash basin and toilet with a slightly higher seat, installing a false ceiling, together with wall tiling. All the work was carried out to a very high standard and the finish and clean-up operation at the end couldn't be faulted. Anyone looking for quality workmanship from friendly experts at a very reasonable price need look no further than Abacus. Thank you, Paul, for putting in our new bathroom, excellent results, professional finish, highly recommend." "First Class Job" "Hi Paul, just wanted to say how pleased we are with the refurbishment of our bathroom. It was a first class job and we now have the bathroom we have always wanted. You and Gary worked really hard and also sorted out the problems we had with faulty equipment that we had purchased. Thank you very much and we will always recommend your services." "Beyond Expectation" "Hi Paul, just a line to express our thanks for the bathroom refurbishment you recently completed for us, the finish was beyond our expectations and everything completed in a satisfying way, so much more professional than the previous company that refurbished our bathroom. Good all round value for money." "Fantastic Work" "Hi Paul, I just wanted to say thank you for the new bathroom you fitted, it looks fantastic and the work was carried out with speed and efficiency, starting on time as scheduled and ensuring I had a working toilet every night. The carpets were always covered and you left no mess, either on the evening or at the end of the week when the work was completed." "Exceptional 100% Recommendation" "First class workmanship together with positive and practical design ideas. This is a specialist team and they are real pro's. Book them now!" "Fantastic Job" "I had to message you to show our appreciation on the fantastic job you made of our bathroom, you cleaned up every night and nothing seemed to be a problem. Thank you so much." "Perfect Bathroom" " Thank you so much for my Perfect bathroom, it was a pleasure having you in our home"
Contact Abacus Bathrooms Bristol Today! So, if you require further information on any of our bathroom design services, do not hesitate to get in touch with one of our expert bathroom installers today on 01179 873666. Furthermore, our bathroom fitters cover a large 30-mile radius around Bristol. Why wait? See how Abacus Bathrooms Bristol can help you today. We look forward to hearing from you soon!